▶ SoldThis listing was sold on Oct 26, 2017 for the price shown here. 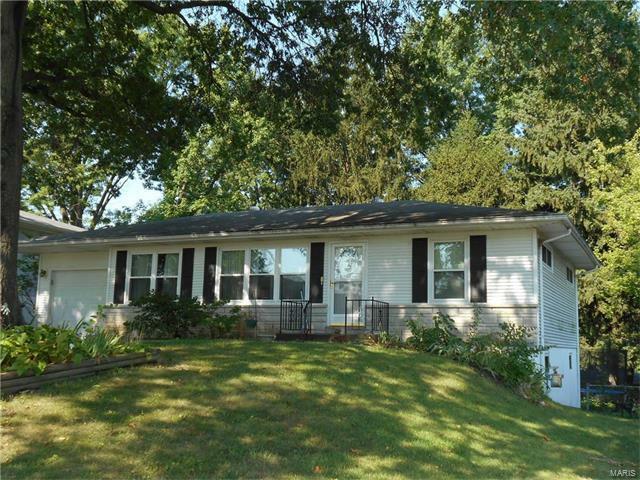 This charming 2 bed/2bath updated ranch is located in the heart of Mehlville with restaurants, shopping and churches within minutes. You’ll love the updated kitchen which includes cabinets, stove, dishwasher and refrigerator. Both bedrooms have wood floors and the master has its own bathroom (with shower only). There is a spacious living room/dining room combo and an amazing four-seasons room overlooking the fenced backyard. The lower level walkout has been partially finished and also provides additional storage and laundry area. Plenty of room in the oversized one car garage for all your “stuff”. Home is being sold as is and seller will not be providing any inspections or repairs. From Lemay Ferry Rd, go west on Buckley Rd., then right on Banister Dr.